Happy Birthday: Tha Conclusion - Yo! Venice! 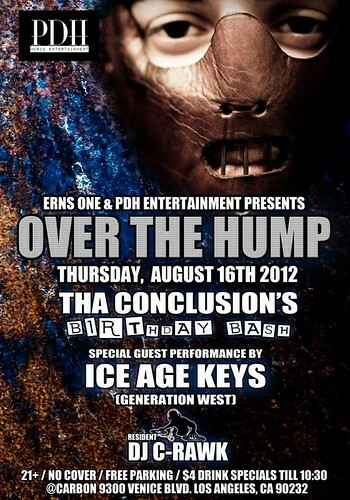 Tha Conclusion is having a birthday party Thursday night! Check out the party for good times! Dj C-Rawk will spin the best in hip hop, rnb, reggae and musica latina, and there will be a special performance by Ice Age Keys of Generation West. Tha Conclusion will make sure everyone has a good time!